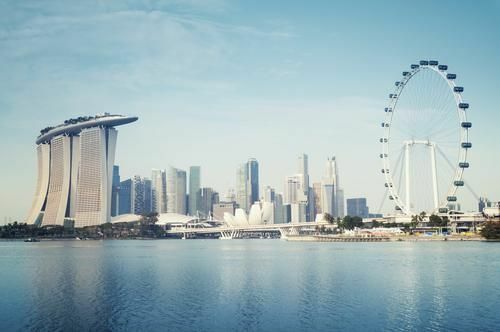 S'pore has topped the table of best expatriate destinations for the 2nd year running, but Sweden is the best place for raising children, while Switzerland offers the best wages, according to an influential global survey. The UK & the US, meanwhile, languished around mid-table on HSBC's 9th annual Expat Explorer survey. 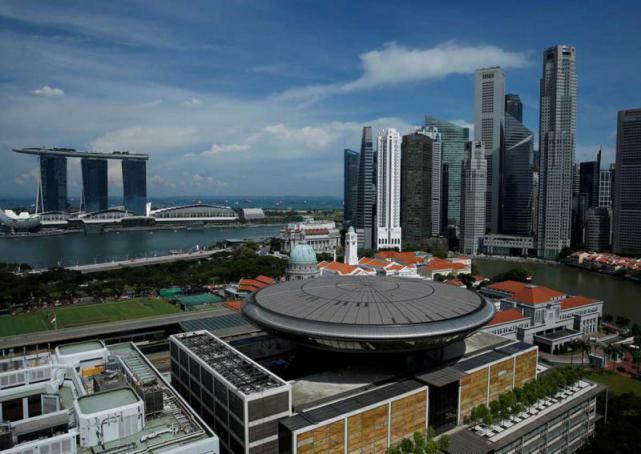 Rich expats rank Singapore the best place to live and work, according to a survey by HSBC Expat Explorer. Financially, expats in Singapore earn the highest in the world at an average of US$159,000 a year as compared to the global average of US$104,000 a year. 65% said they have greater disposable income and 60% said they are able to save more as compared to where they were at their home country. Only 16% said they saved lesser in Singapore. As Singapore has the lowest income tax among the developed countries, these expats take home more cash as compared to countries like Australia and New Zealand. 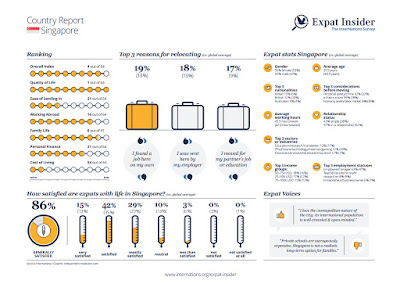 In quality of life, 67% of the Singapore expats said they now enjoy a better quality of life. 65% of them also said the health and well-being of their children and themselves have also improved. 87% also praised Singapore for being a safe country. Singapore, regarded as one of the "Four Asian Tigers" for its rapid economic growth in the later decades of the 20th century, provides an attractive choice for expats looking for high income and living standards. 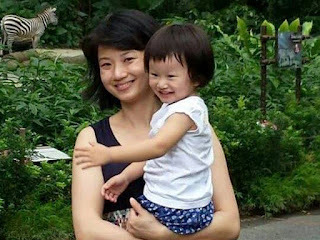 The small city-state also ranks fourth in terms of family well-being, third in regard to the quality of education, and sixth for health, safety, and well-being in general; the impressive results in these subcategories should guarantee that expat parents, too, are satisfied with life in Singapore. 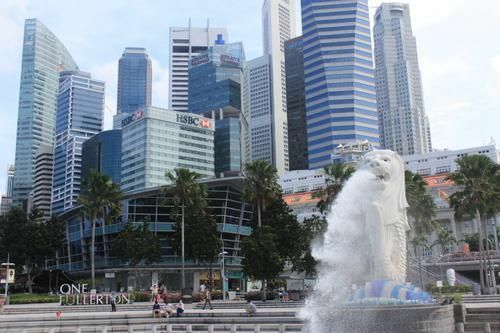 Moving to Singapore is made easier by a welcoming atmosphere (ranked 7th in the Feeling Welcome subcategory) and four official languages, including English (3rd in the Language subcategory). 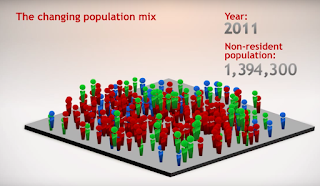 The friendliness of the local population, however, is below average, ranking 47th, affording the country an overall good 21st position in the Ease of Settling In Index. 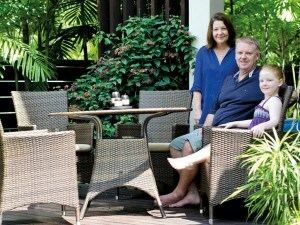 Expats in Singapore do not have much to complain about regarding their living environment. 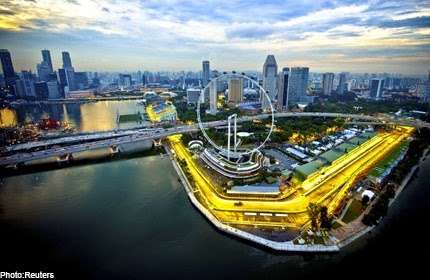 Even though the city is one of the major commercial hubs in Asia and packed with people, an astonishing 71% of respondents in Singapore find the overall peacefulness to be very good, a score that only 39% of their global peers give to their corresponding host countries. The quality of the environment receives excellent grades, too, as 87% rate it positively compared to a global 64%. 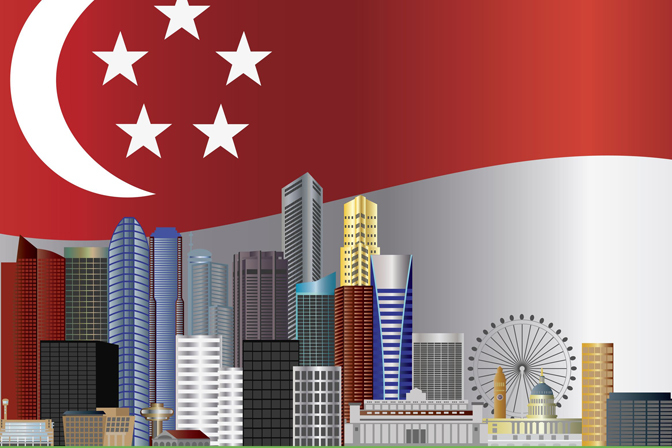 The Singapore Business Review recently revealed that as much as 60% of foreign staff in financial services say they plan to apply for Singapore permanent residency. This compares with just 17% who said they did not intend to do so. 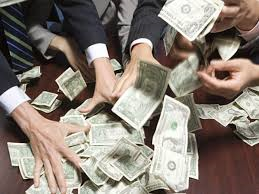 The reason given by these expats for wanting to stay is the attractive pay rates. According to the article, average salaries in the financial services sector top $138,000 while management consultants can earn almost $123,000 on average. 67% said they now enjoy better quality of life in Singapore while 65% said the health and well-being of they children have improved since they moved here. It is not difficult to imagine how high incomes lead to improved lifestyles and comforts. With the high cost of living, in fact the highest in the world (link), it takes a good amount of money to have good quality of life, improved health and improved well-being. Just basic groceries alone in Singapore cost 11% more than in New York. Being a permanent resident of Singapore has many advantages. One would have no need to apply for and renew work visas hence, could more easily change jobs. Spouse and children will receive the same PR status while aged parents will be able to obtain long term stay visas to help families stay together. 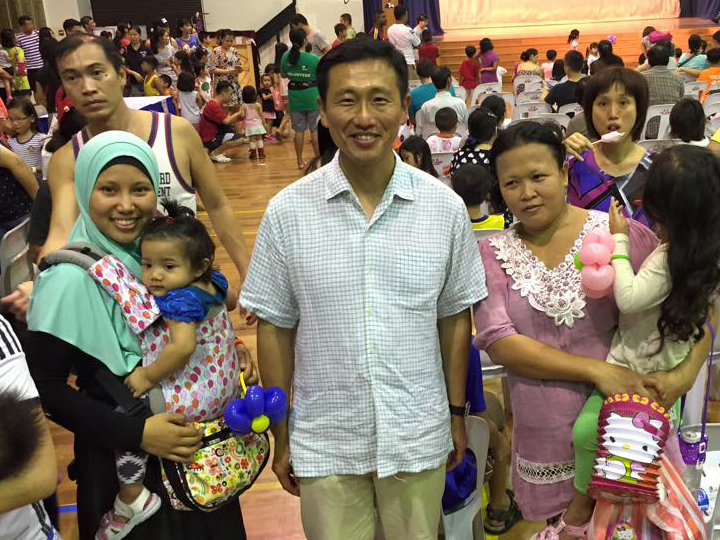 A permanent resident could also buy subsidized HDB flats, and enjoy subsidized health care. As a PR, the employer is now required to make monthly contributions to one’s Central Provident Fund (CPF). 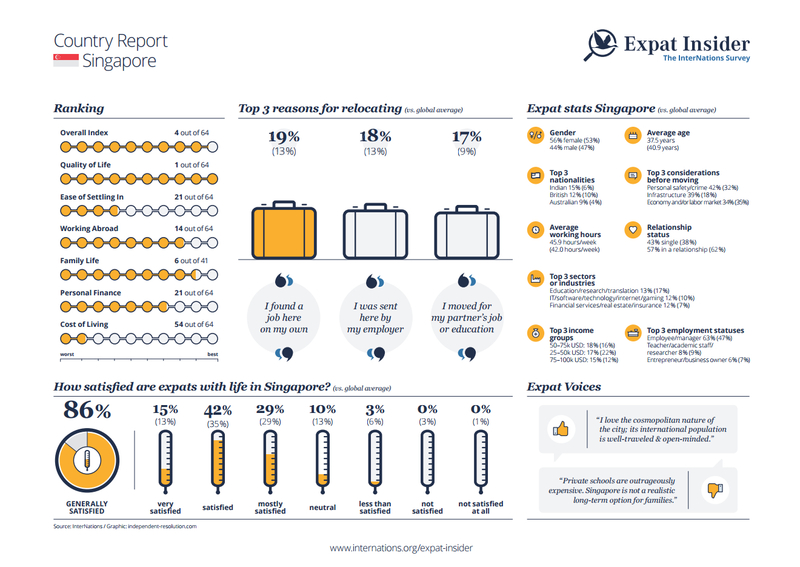 In the latest HSBC Expat Explorer poll, Singapore has been given the dubious honour of being one of the best places in the world to live and work for expatriates. Respondents said that Singapore offered the right balance of career opportunities, lifestyles, as well as a stable economy. The poll sought the views of 21,950 individuals from 39 countries and asked them to rank countries based on career prospects, financial well being, quality of life and ease of settling for partners and children as expatriates. Singapore beat all other countries in terms of expatriates' confidence for the country's economy, with 79% of expatriates expressing confidence in Singapore's economic fortunes. Here’s a list that we aren’t number one on: the countries with the highest proportions of foreign-born people residing in them. With all our complaints about the number of foreigners we’ve been letting in over the past decade or so, it’s worth seeing how we stack up against the rest of the world on this front. Singapore offers “safety, economic stability, higher salary, career advancement,” one expat says. The country offers an improved quality of life, greater economic opportunities, incredible food, and a great environment to raise children. Singapore is Southeast Asia’s best bet for a safe, convenient, and comfortable base for affluent professionals carving out a niche in the Far East. Easy air access from pretty much anywhere appeals to jet-set expats as does the sophisticated culinary scene, high-tech infrastructure, and global culture. With one of the world’s most expensive real estate markets as well as rising rental prices and cost of living, Singapore isn’t for expats on a budget. Should You Apply to Become a Permanent Resident of Singapore? 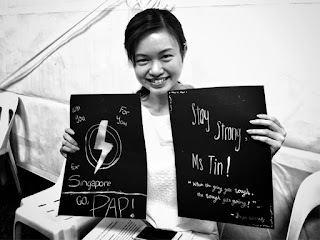 Ready to Become a Singapore PR? Perhaps it’s the sunshine, or the food, or the shopping, or the idyllic location in SE Asia or some combination, but many expats will consider becoming a permanent resident of Singapore (PR). Designed as a step between foreigner and citizen, becoming a PR allows expats to show a strong commitment to living and working in Singapore. While it can be a stepping stone to citizenship, many expats choose to become PRs without ever applying for citizenship. Are the benefits worth the application and vetting process? To help you decide if permanent residency is for you, we’ve laid out the major benefits and cons to consider before deciding. We belong to a fortunate generation that is reaping the prodigious benefits of globalisation and technology. It's so easy to move from one part of the world to another these days. And everyone's doing it. With all my heart, I would love to take on the adventure that comes with living overseas, too. I would love the independence, the freedom, the change. To be young and reckless - yes, I'd like that very much. Yet, in the long run, I'd still like some place to which I can return. As the haze situations reach critical levels on Friday (25 Sept), tensions begin to boil. Singapore has been cloaked in smog from Indonesia’s for about three weeks. Primary, secondary and MOE-run kindergartens were closed on Friday as the PSI levels climbed into hazardous levels. Free masks were also distributed in community-centres. As PSI levels rise, so did did tempers. 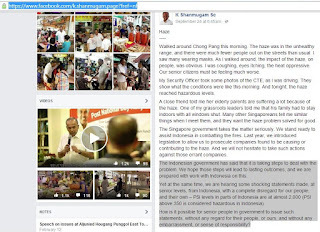 Foreign Minister K. Shanmugam took it to Facebook to question the Indonesian government whom he mentions have “a complete disregard for our people, and their own”. The air quality worsened into the “very unhealthy” range today. 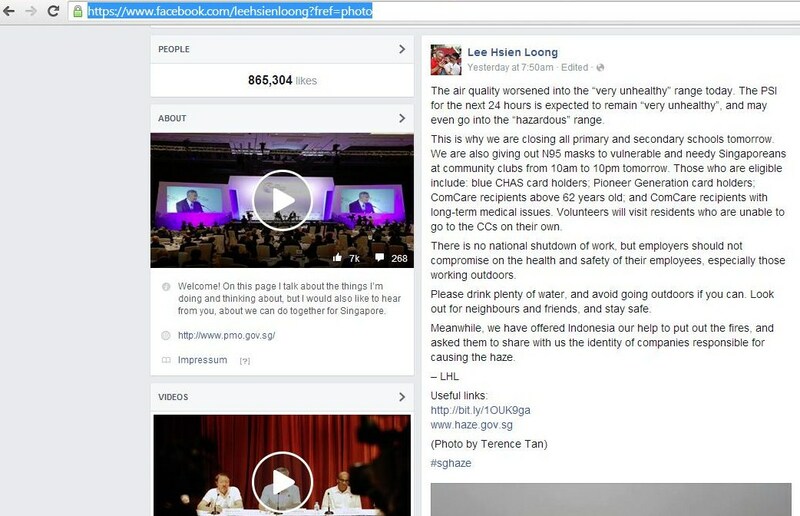 The PSI for the next 24 hours is expected to remain “very unhealthy”, and may even go into the “hazardous” range. This is why we are closing all primary and secondary schools tomorrow. We are also giving out N95 masks to vulnerable and needy Singaporeans at community clubs from 10am to 10pm tomorrow. Those who are eligible include: blue CHAS card holders; Pioneer Generation card holders; ComCare recipients above 62 years old; and ComCare recipients with long-term medical issues. Volunteers will visit residents who are unable to go to the CCs on their own. There is no national shutdown of work, but employers should not compromise on the health and safety of their employees, especially those working outdoors. My Indonesian counterpart, Coordinating Minister Luhut Panjaitan, phoned me this afternoon. He assured me that the Indonesian government is taking the haze very seriously and deploying more troops to deal with the fires. 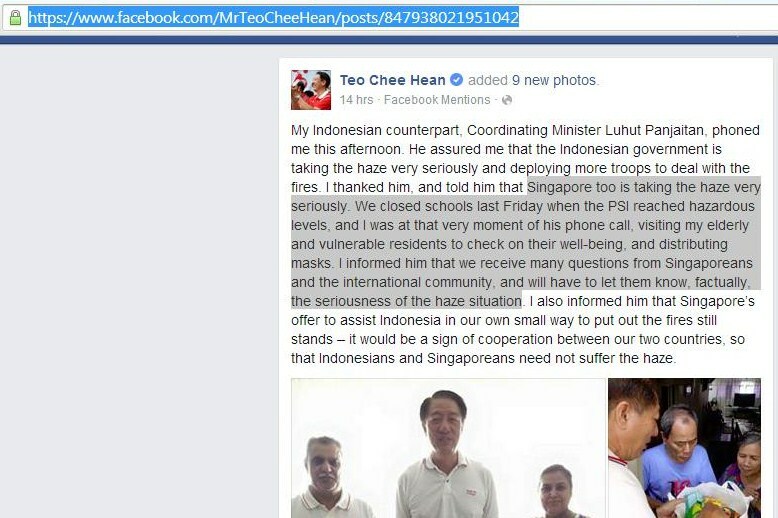 I thanked him, and told him that Singapore too is taking the haze very seriously. We closed schools last Friday when the PSI reached hazardous levels, and I was at that very moment of his phone call, visiting my elderly and vulnerable residents to check on their well-being, and distributing masks. I informed him that we receive many questions from Singaporeans and the international community, and will have to let them know, factually, the seriousness of the haze situation. I also informed him that Singapore’s offer to assist Indonesia in our own small way to put out the fires still stands – it would be a sign of cooperation between our two countries, so that Indonesians and Singaporeans need not suffer the haze. "Look at how long they have enjoyed fresh air from our green environment and forests when there were no fires. Could be months. Are they grateful? But when forest fires occur, a month at the most, haze pollutes their regions. So why should there be an apology?" Yusuf Kalla repeats this again. And again. While we get affected, particularly when the wind blows more directly, guess who bears the greatest impact...daily... at PSI levels of 1900? It's not what is said that's important, crass as it may be. But what it reveals of the deeper sentiments and thinking the individual, and perhaps others hold, in the way they regard their neighbors. 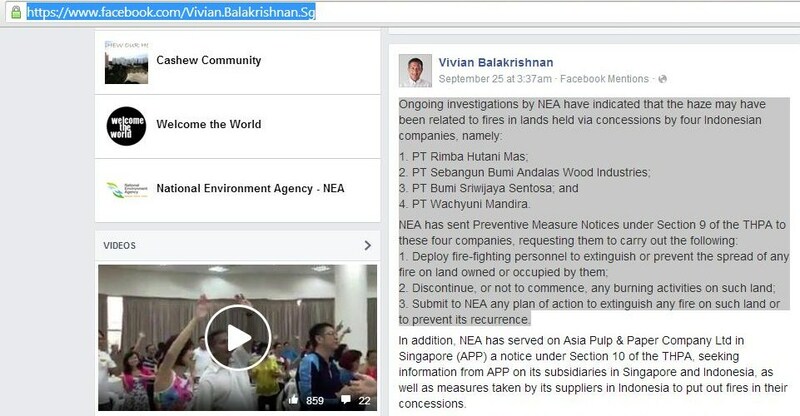 Submit to NEA any plan of action to extinguish any fire on such land or to prevent its recurrence. 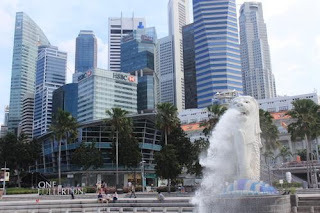 Merlion is mythical like the Garuda and will not be affected by the haze. But we humans will be, not just now but also in the long term if haze continues year after year. We can hand out face masks and take precautionary measures but the real solution is to tackle the cause at source. If Indonesia can stamp out illegal burning, they will gain investor confidence in their abilities to tackle other complex challenges. 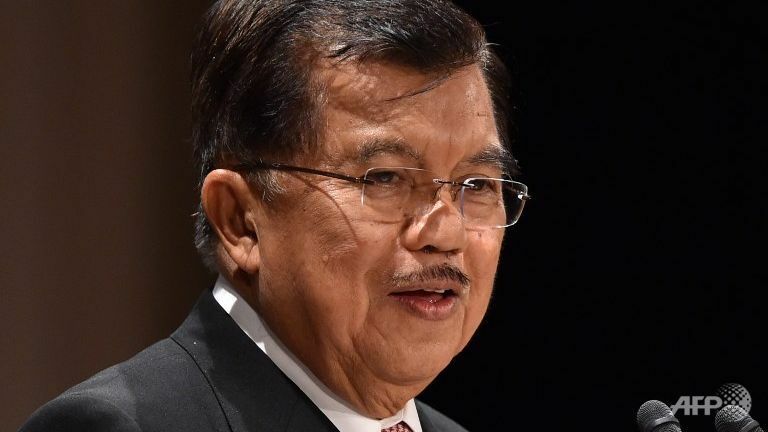 The Indonesian government welcomes any country, including Singapore, that wants to help extinguish forest and land fires in the country to remove the haze, Vice-President Jusuf Kalla has said. "Go ahead, we are open. 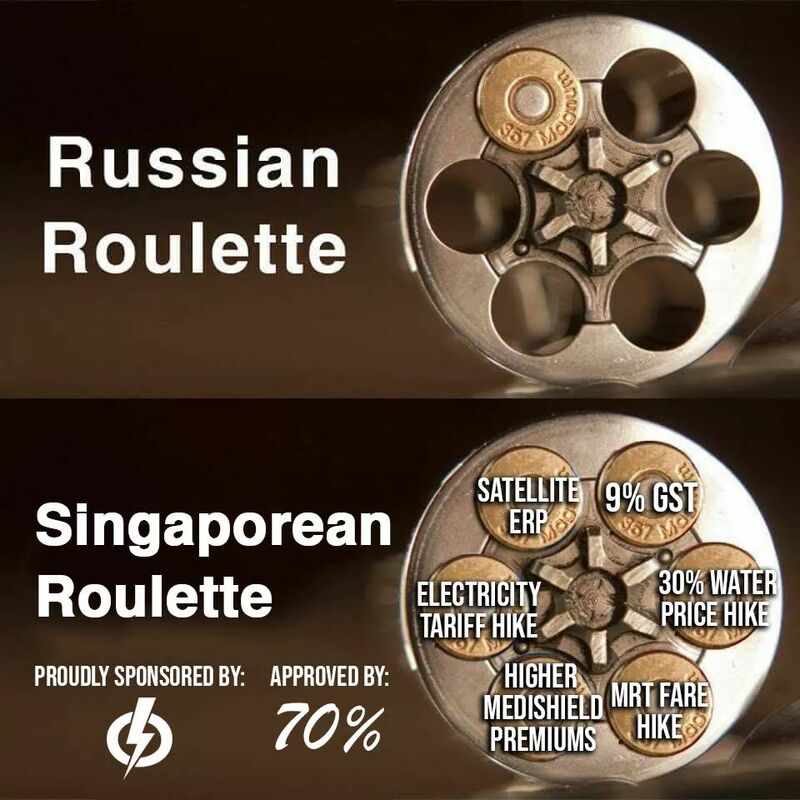 Singapore can come and see for themselves if they want to help. Don't just talk (about it)," said Mr Kalla on Sunday (Sept 27) in New York, according to a report by the Antara news agency. 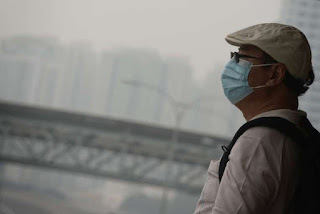 Singapore has previously expressed frustration with Indonesia regarding the smog that has affected the country and expressed its willingness help to battle the fires - offers that Indonesia has so far rejected. Local news agency Antara News quoted Mr Kalla as saying. "Please come, we are open. Singapore can see for itself. Singapore, please come if you want to help. Don't just talk,"
Indonesian officials had shown "a complete disregard for our people, and their own" in their handling of the fires, Singapore Foreign and Law Minister K Shanmugam said in a Facebook post last week. Indonesian Vice President Jusuf Kalla on Sunday urged Singapore to act on its offer to help fight the fires. 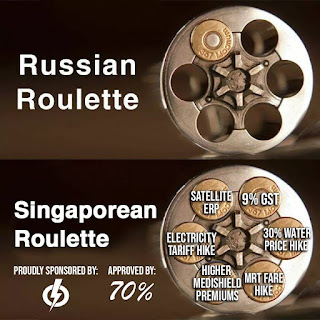 "Singapore can join and see for themselves. 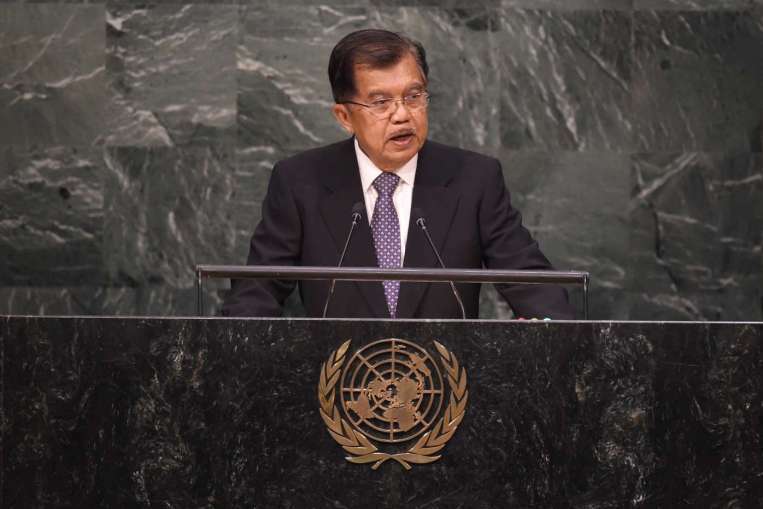 Don't just talk," Kalla was quoted as saying by Antara during a visit to New York. Let's take a common problem - your neighbor burns joss stick and incense paper everyday thereby creating smoke and ash in his house as well as yours. To him, he is appeasing his God and so he has to bear the smoke and ash. But to you, your health is affected and so what should you do? The course of your action would definitely affect your relationship with your neighbor. 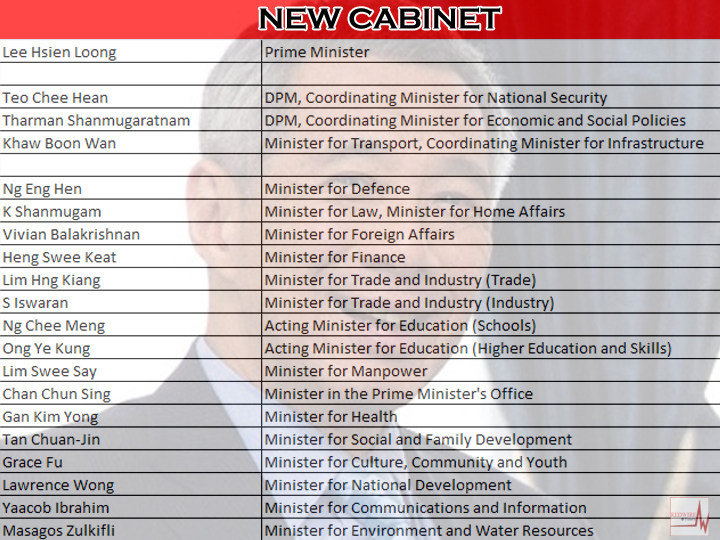 Singapore Prime Minister Lee Hsien Loong on Monday announced the new cabinet, including newly- introduced coordinating ministers. The key change to the cabinet is the introduction of three coordinating ministers, each of whom will oversee a handful of related ministries. Teo Chee Hean, Tharman Shanmugaratnam and Khaw Boon Wan were named as the ministers. The Ministry of Education and the Ministry of Trade and Industry will each have two full ministers, overseeing separate aspects within the ministry. In total, there will be 20 cabinet members, up from 19. Half of the 20 members were elected in the last three general elections, and half are below 55 years old. Our Party has won 83 out of 89 seats in the just concluded General Election, with all seats contested. Overall, the PAP won 69.9% of the votes. The people have endorsed what we have done in the previous term, and given us a clear mandate to take Singapore forward beyond SG50. Now we must fulfil what we have promised to do in our manifesto. We must never break faith with the people, but must always carry out our duties to them responsibly, address their worries and advance their interests. Be humble in victory. As MPs, always remember we are servants of the people, not masters. Do not mistake the strong election result to mean that our efforts have succeeded, and that we can afford to slacken. Much work remains to be done tackling issues which concern Singaporeans, and finding new ways to improve people’s lives. Listen hard to voter concerns, help them to tackle pressing needs, and convey their worries and aspirations to the Government. Persuade them to support policies which are in their own long term benefit, while helping the Government to formulate good policies and stay in close touch with the people. Is it hard to be humble? Humility is a trait that emerged during the general election. In fact, candidates of the People’s Action Party are so “nice” that you wonder if they had any personality at all! 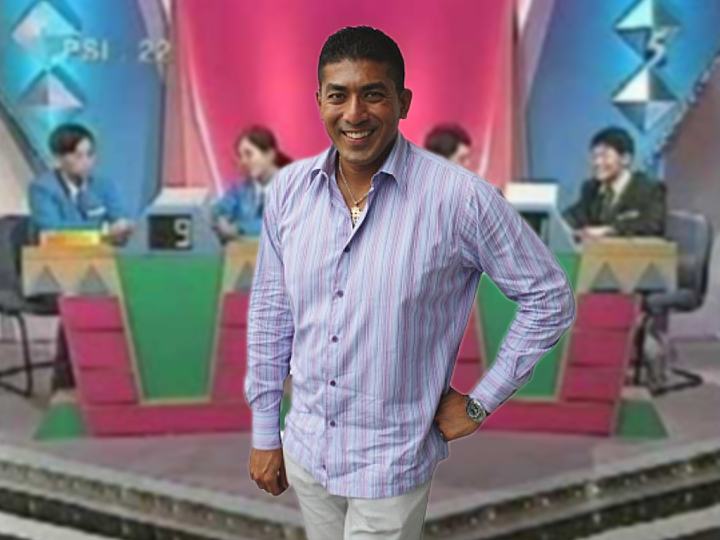 I almost wished someone had said something outrageous or revolutionary instead of blending into the white background. 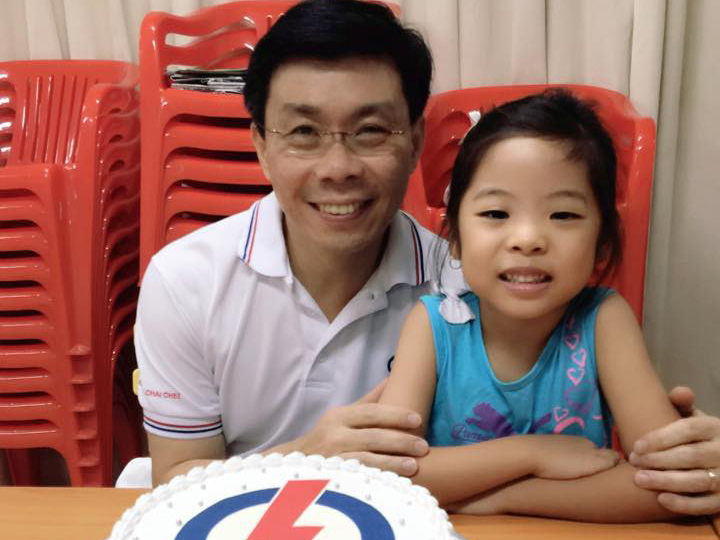 The rhetoric, even that aimed at Singapore Democratic Party’s Chee Soon Juan, is quite muted compared to the combative days of the past. In fact, there was even a sort of olive branch extended to the opposition after the GE: that there was a possibility that the opposition can work together with the ruling party in the interest of Singapore. Beyond nice-sounding phrases in measured tones, what does “humility” actually translate into in this post-GE phase? I suppose we have to analyse its opposite: arrogance. 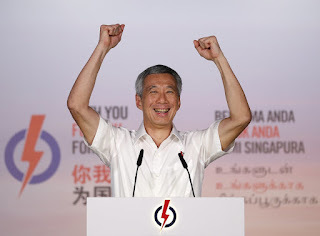 Prime Minister Lee Hsien Loong said on Monday that he is moving boldly to put members of the fourth-generation leadership in positions of heavy responsibility so that a new team can be ready to take over from him shortly after the next General Election. 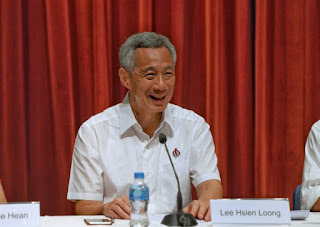 Speaking at a press conference to announce the new Cabinet following the Sept 11 polls, where the ruling PAP won 69.9 per cent of the vote, PM Lee affirmed that his successor would be from this new Cabinet - if not, "something would have gone unexpectedly", he said at the Istana on Monday. 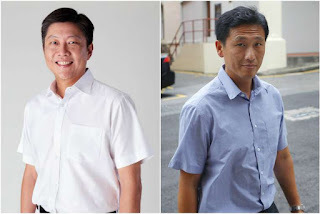 Newly elected members of the fourth-generation leadership Ng Chee Meng and Ong Ye Kung have been appointed co-Acting Ministers for Education, while returning MPs like Ministers Grace Fu and Masagos Zulkifli have been given their own ministries to helm for the first time. How much does Singapore spend on political appointments? 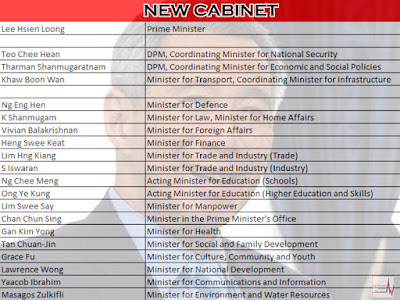 When Prime Minister Lee Hsien Loong announced his new cabinet and political appointments last Monday (28 September), one of the moves involved appointing two ministers of equal standing to both the Ministry of Trade and Industry (MTI) and the Ministry of Education (MOE). The two new Education ministers, Ong Ye Kung and Ng Chee Meng, both won their seats for the first time in the recent General Elections. Two new Coordinating Minister posts were also created — for Economic and Social Policies, and Infrastructure, joining the previous Coordinating Minister for National Security. In total, there are now 54 political appointments, including Ministers of State and Parliamentary Secretaries. This is one more than the estimated number of political appointments in the Budget for 2015. 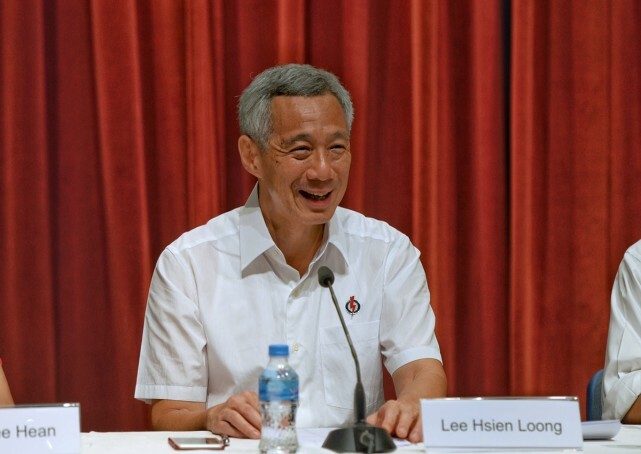 Prime Minister Lee Hsien Loong replaced his finance minister in a cabinet reshuffle after a landslide election win earlier this month, tapping some younger faces as he prepares his party for a leadership transition. Deputy Prime Minister Tharman Shanmugaratnam will step down as finance minister, according to a statement on Monday from the Prime Minister's Office. 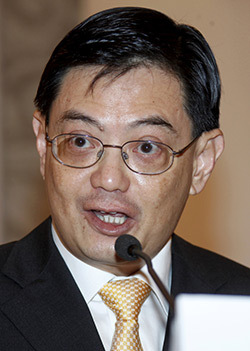 Former central bank managing director Heng Swee Keat, who held the education portfolio, becomes finance minister. The lineup includes fresh entrants such as former defence force chief Ng Chee Meng, who becomes joint acting education minister alongside Ong Ye Kung, who is director of group strategy at Keppel Corp.
Prime Minister Lee Hsien Loong announced Singapore's new Cabinet on Monday (Sept 28). 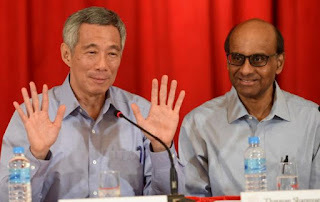 Mr Teo Chee Hean and Mr Tharman Shanmugaratnam continue to be Deputy Prime Ministers, but they are also appointed as Coordinating Ministers, who will oversee a handful of related Ministries. 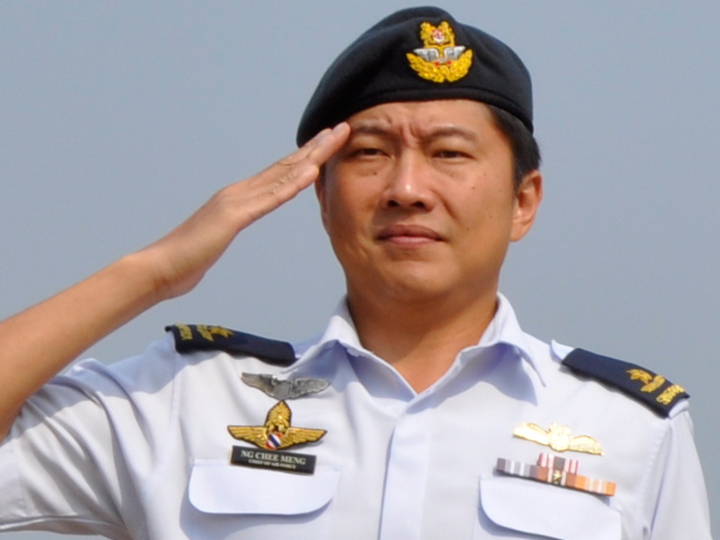 DPM Teo will be Coordinating Minister for National Security. 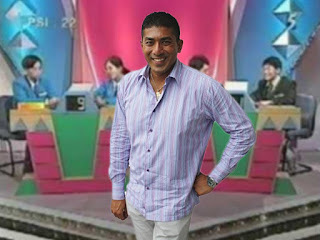 He relinquishes his role as Minister for Home Affairs. DPM Shanmugaratnam will be Coordinating Minister for Economic and Social Policies. He relinquishes his role as Minister for Finance. Among the changes will see deputy prime ministers Tharman Shanmugaratnam and Teo Chee Hean relinquish their previous portfolios of Finance and Home Affairs respectively, to focus on their roles as "coordinating ministers". Education minister Heng Swee Keat will take over as finance minister while K Shanmugam will be appointed home affairs minister – a portfolio which he had previously helmed briefly – while concurrently remaining the law minister. Vivian Balakrishnan will become minister for foreign affairs, while Masagos Zulkifli will take over him as minister for environment and water resources. 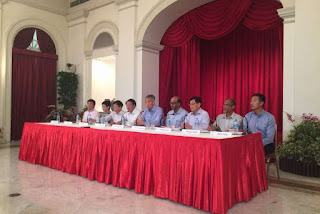 Mr Khaw Boon Wan will be the new Transport Minister, in Cabinet changes announced on Monday that also see members of the fourth-generation leadership being put in positions of heavy responsibility. 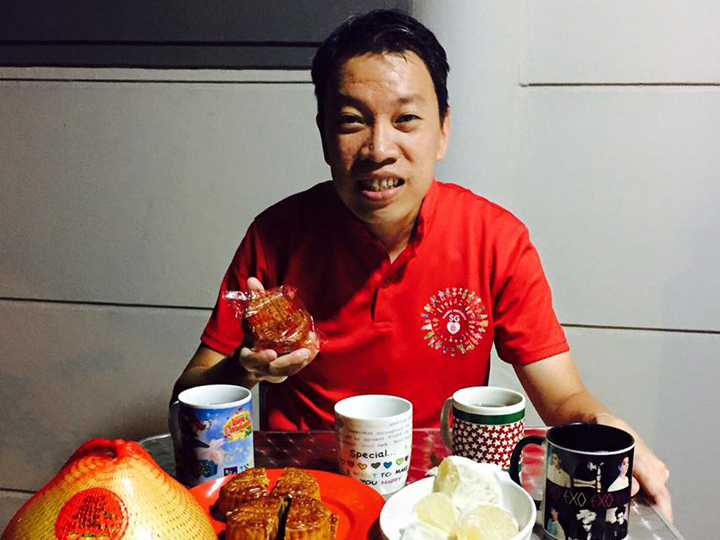 Mr Lawrence Wong, the former Culture, Community and Youth minister,will take over Mr Khaw's National Development ministry. The changes - which will take effect from Oct 1 - will also see Deputy Prime Ministers Teo Chee Hean and Tharman Shanmugaratnam take on Coordinating Ministers roles. 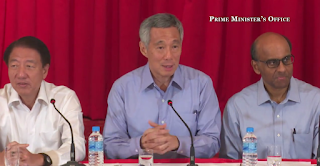 Two weeks after his ruling party’s victory at the polls, Prime Minister Lee Hsien Loong on Monday (Sep 28) named his new Cabinet in what he called a “bold move” to get a team ready to take over soon after the next General Election. “It is a transition team, so it is bigger than usual. More ministries will see a change of ministers,” said Mr Lee of the slate of 37 office holders, up from the previous 33. Of these, 20 are full or acting Ministers. 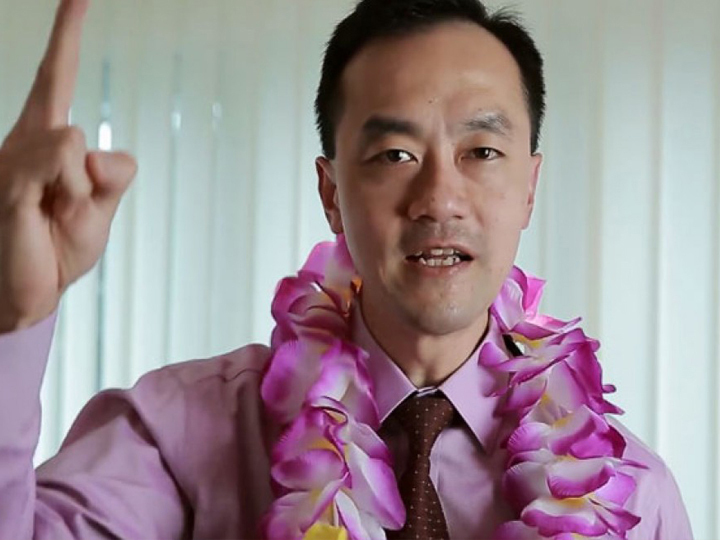 “We don’t have time to lose,” said Mr Lee, adding that he would “aggressively prepare a new team to take Singapore forward”. 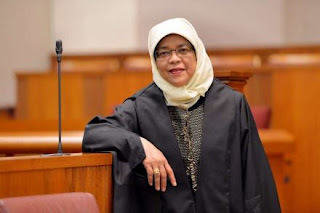 PRIME Minister Lee Hsien Loong will nominate Halimah Yacob to be the Speaker of Parliament when the House convenes in January, said a statement from the Prime Minister's Office (PMO) on Monday. Chan Chun Sing, Minister in the PMO and Member of Parliament (MP) for Tanjong Pagar GRC (group representation constituency), has been appointed the Government Whip. 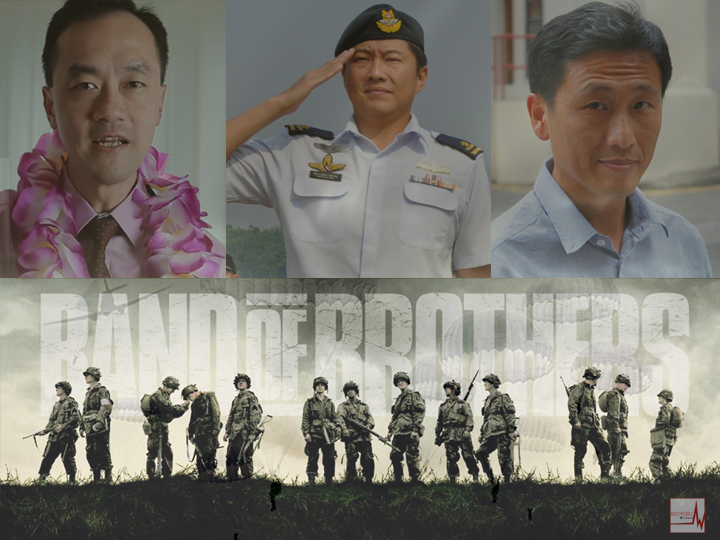 He will be assisted by two deputies: Sim Ann, Senior Minister of State in the Ministry of Finance and Ministry of Culture, Community and Youth and MP for Holland-Bukit Timah GRC; and Sam Tan, Minister of State in the PMO and Ministry of Manpower and MP for Radin Mas SMC (single member constituency). The cabinet reshuffle sees the creation of Coordinating Ministers, who will oversee national security, economic and social policies and infrastructure. Other than, erm, coordinate, they will also guide the new Ministers. DPM Tharman Shanmugaratnam will give up his Finance portfolio as he is going to be pretty busy as a Coordinating Minister for economic and social policies, DPM Teo Chee Hean will relinquish his Home Affairs portfolio and oversee national security and Khaw Boon Wan – PAP’s chairman – will look after infrastructure, which will means that he is likely to “ownself check ownself” as his new Transport ministry falls under infrastructure. For the first time, we’ll have 3 “Coordinating Ministers”, Teo Chee Hean, Tharman Shanmugaratnam and Khaw Boon Wan. Khaw will take on the problematic portfolio of Transport Minister, in addition to overseeing infrastructure development. 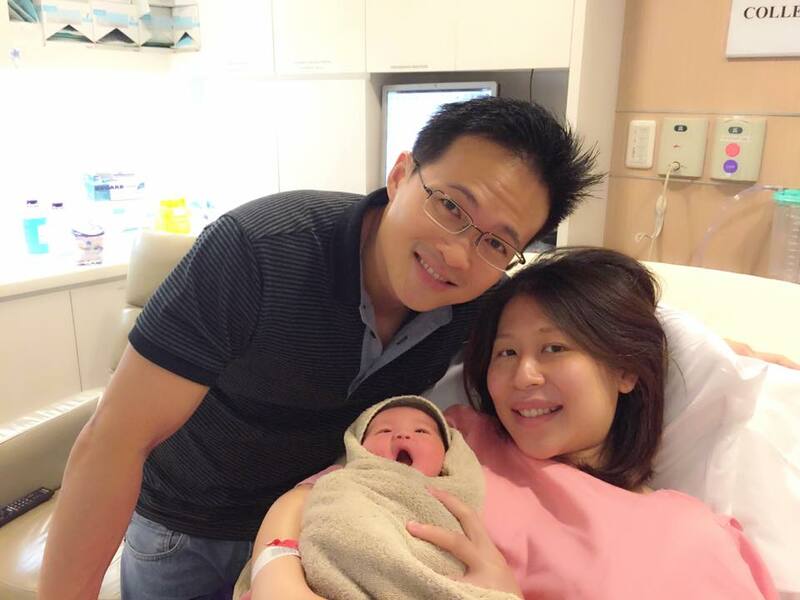 His National Development posts goes to Lawrence Wong. In another notable swop, former Monetary Authority of Singapore head honcho Heng Swee Keat has been appointed Finance Minister, making way for cabinet newbies Ng Chee Meng and Ong Ye Kung to take over the education portfolio. Teo Chee Hean will continue to oversee national security, while Tharman Shanmugaratnam now takes on a broader role as Coordinating Minister for Economic and Social Policies. The two have retained their posts as Deputy Prime Ministers. 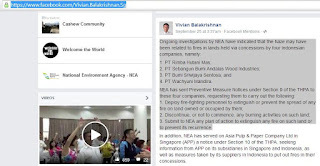 With the haze problem looming, Vivian Balakrishnan will be relieved to relinquish his position as head of Environment and Water Resources. 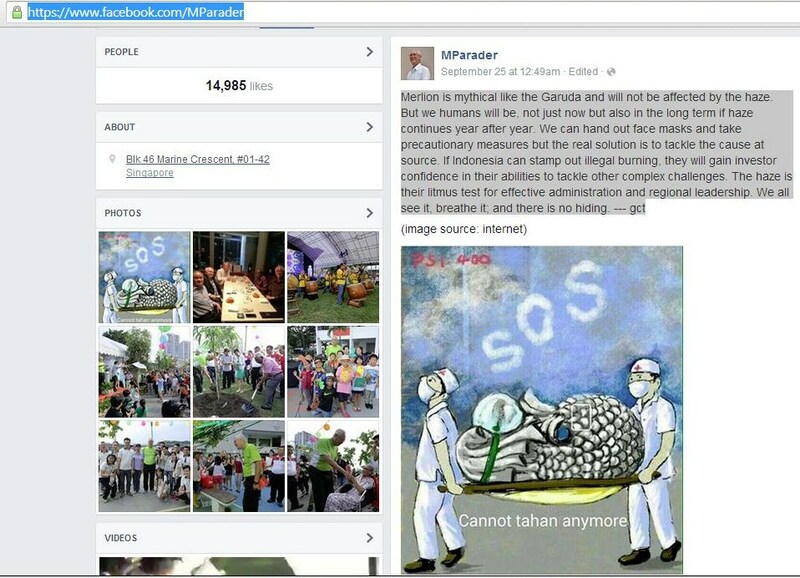 That post has gone to Masagos Zulkifli, who was just recently promoted to a full minister in the Prime Minister’s Office. 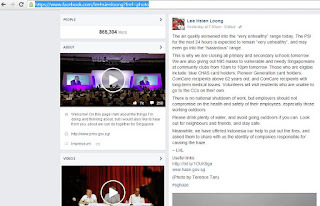 And yes, PM Lee Hsien Loong remains as PM Lee Hsien Loong. 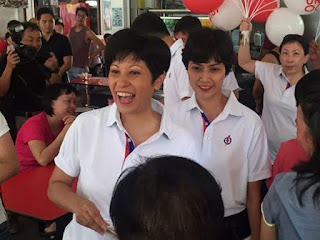 GE2015: One Stone Kill Two Birds, Heng Ah!